I heard that, but I only have a couple of yards of each one and as I use them down to less than a yard, they will come off and just be folded. I figure if the can sit in the shops for months on them (or longer), they should be ok. I don't plan to have them stored for a long time. Thanks for the heads-up, though! 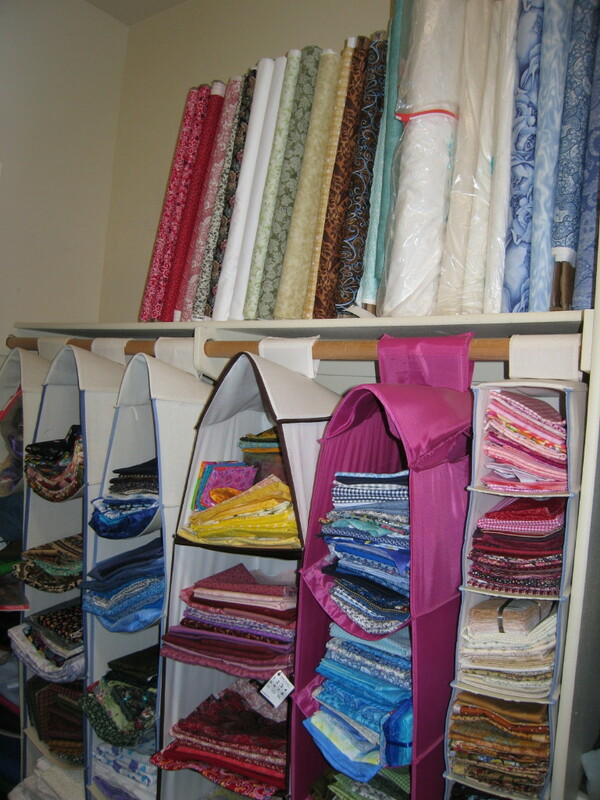 Oh so many beautiful fabrics!!!! And you know this because? Somebody on the board actually emailed a manufacturer and asked and the answer was the cardboard was acid freee. Looks like a fun closet to shop in! Be great if this is true-I have in my closet several bolts that I have had there for a year or so, and full bolts I bought and haven't used much of yet. I'll take my chances. I KNOW this because archival, acid free cardboard and paper is expensive. There's no way all manufacturers would go to that added expense on an item meant to be thrown away. As for someone receiving an e-mail saying otherwise... If one manufacturer claims this, I'm sure not all of them are acid free. Last edited by Candace; 03-08-2012 at 01:56 PM. Then, you should be good to go! Fantastic organization skills! When I do that I want to start a new project! I want to come shop in your closet! Just kidding, I have enough fabric of my own to use up. Why does someone else's stash look more interesting than your own? Funny, huh? Guess it's because the grass is always greener etc---or we just love fabric so much! Looks great!!! You did a great job! I really have to try to be more organized!! I've been looking for a bolt of fabric that I bought last summer and I can't find it!!! LOL!! This tells me that I better get my stuff organized!! Who loses a bolt!! I know that the bolt was around at Christmas but it got stashed somewhere when we did a cleaning frenzy just before the arrival of out of town visitors - Geesh!! I have to find it!! Wow! 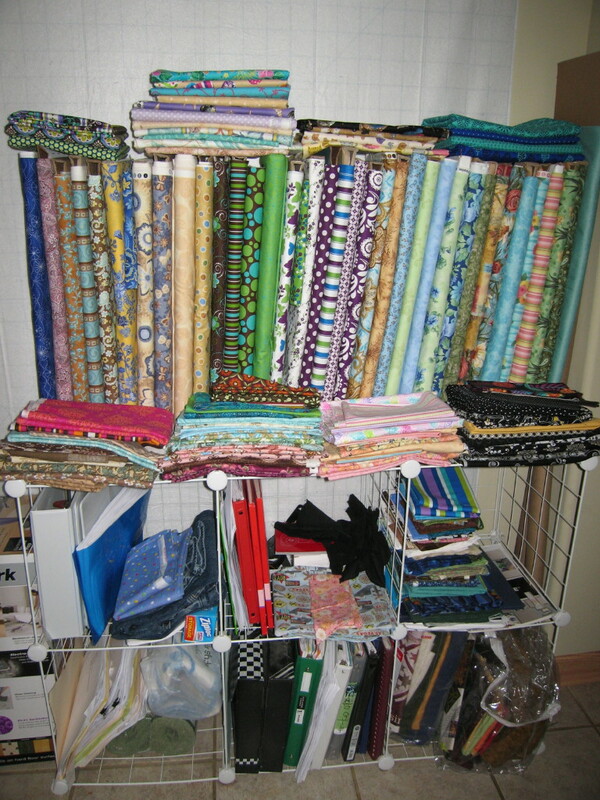 I thought I had a lot of fabric, but you win!!!! I think I'm the only one who does kits. I buy kits all the time. I have over 75 of them and keep buying them knowing that I will never do them all, or even half of them. I've given some away to ease my guilt. 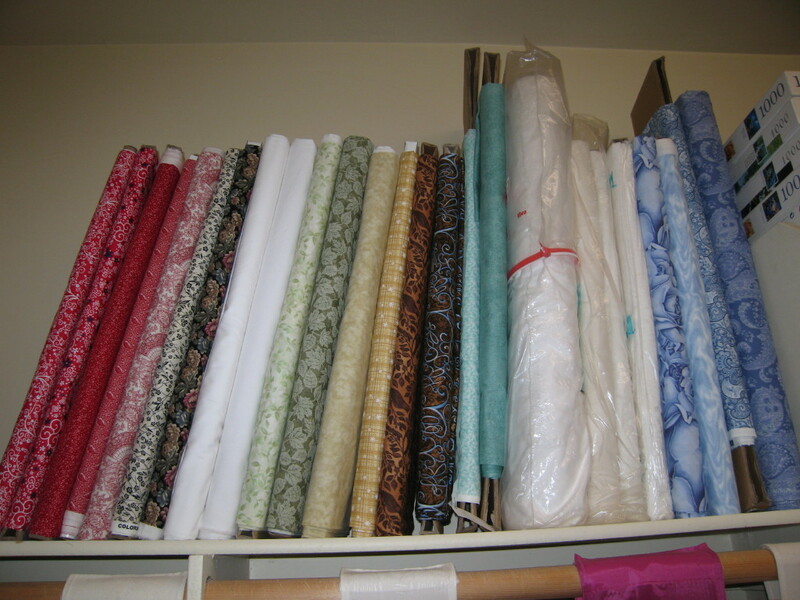 I also have lots of FQs, some yardage, but I only buy yardage that comes in a design line. I can't just buy one fabric. I have to buy the fabric that goes with it. But I always see how everyone has bolts of fabric that doesn't go together. I know you find fabric to compliment the fabric you buy, but I don't have the eye for matching fabric unless it's from a line. That's why I have so many quilt kits. 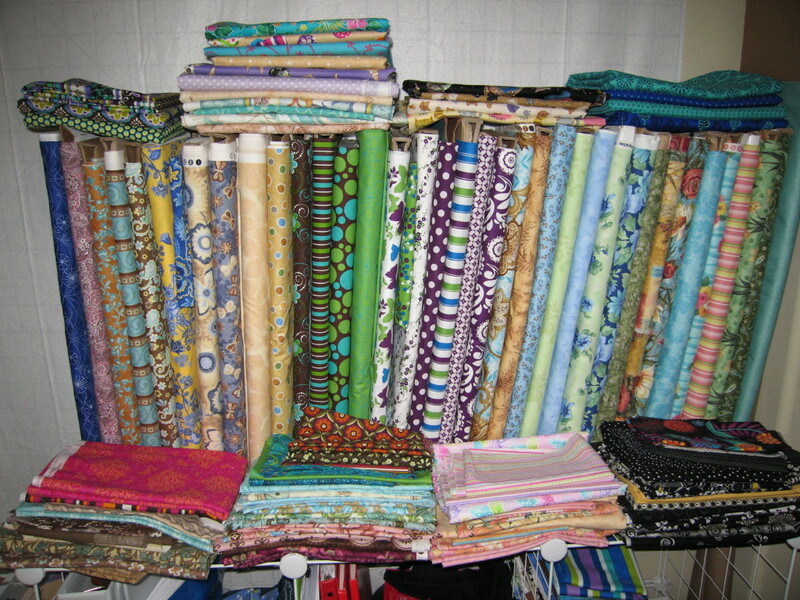 I have some fabric sitting right here that I'm trying to find the line of fabric so I can order some to go with it. It's Windham's Shelburne Circus fabric. I finally found a couple of yards to compliment this piece at Thousands of Bolts. Thank God for Thousands of Bolts. It took me over an hour to find it. That's why I don't buy single fabrics.